The consequences of an unsuccessful project can be enormous. Financial claims, damaged reputations and missed opportunities for other projects can have disastrous consequences. Project management from G.I.T.O reduce risk, assure quality and ensure completion of your project on time and on budget. Why choose project management from G.I.T.O? Reduce technical risks and Control budgets. Our project managers know their industry like no other, allowing them to anticipate changes. Additional personnel available as part of project management include secretarial staff, IT specialists, technical clerks, draftsmen, administrators, and accountants. 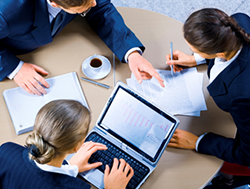 Project management staff are available for both short- and long-term assignments. Import certification from G.I.T.O introduces your products to new markets and achieve regulatory compliance in your target country. Before you can trade in a new market, most countries demand that your products conform to national and international standards. As a result, your products need to be tested so that they can be sold in your target countries. 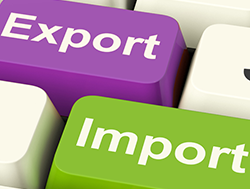 Our import certification services enable you to reach new markets by ensuring that your products provide the required safety and regulatory compliance. Audits of your product manufacturing processes. Document checks and assessments of conformity with the requirements of applicable technical regulations and standards. Physical inspections prior to shipment. 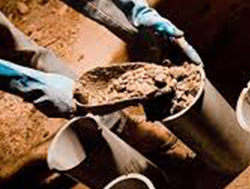 Sampling, testing and analysis in fully accredited laboratories. Our unrivaled experience, expertise and resources make us the first choice in import and export certification for a wide range of clients needing to achieve regulatory compliance across all industries, everywhere. As global markets grow and expand, there are more consumers seeking safe, reliable, and, increasingly, eco-conscious products. With both international and local proficiency.G.I.T.O brings the qualifications you need to get your products in front of the right eyes. Whether you design, manufacture or import industrial goods, you need to ensure that your products meet a wide range of stringent international and regional directives and regulations. G.I.T.O's product certification services ensure that your products are in compliance with the countries that you want to operate in. Working with G.I.T.O helps showcase and maintain products’ safety and performance attributes. Our leadership and expertise in regulatory standards and certifications keeps you ahead of changes and challenges, and our capabilities and knowledge of the process from sourcing to market position brings solutions that are efficient, cost-effective, and meet best industry practices. 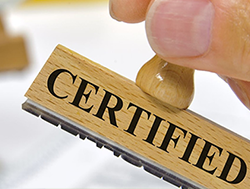 As a result, we offer you comprehensive product certification for a wide range of products. Our materials testing capabilities include materials selection, materials performance and failure analysis, using both destructive and non-destructive testing. Covering metals, composites, polymers and construction materials, G.I.T.O gives you the answers you need on material properties, performance, strength, durability and corrosion. Non Destructive Testing (NDT) covers a wide group of analysis techniques used to evaluate the properties of a material, part, product, weld, or system without causing damage. It is a commonly-used tool in forensic engineering, mechanical engineering, electrical engineering, civil engineering, systems engineering, aerospace and aeronautical engineering, and medical applications. 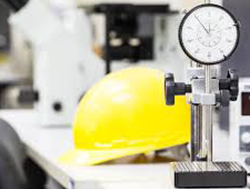 Our non-destructive testing laboratories utilize a wide variety of advanced equipment capable of performing quality inspections for virtually any form of ferrous or non-metallic material, component, or assembly, both in the laboratory and in the field. 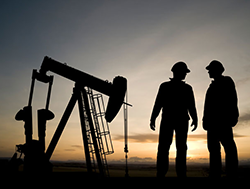 Non-destructive testing from G.I.T.O – ensures the safe and efficient operation of your equipment and assets by detecting defects before they result in severe damage, and assures compliance with international standards. G.I.T.O provide Inspections as either a third party inspection company or on behalf of customers. G.I.T.O Inspection Services is dedicated to reliability and quality customer service. We look forward to working with you soon.